Fortnite will be at The Game Awards later this week, and not just as a nominee. The December 6 award show will host a major announcement for Epic’s builder-shooter, and while that date coincides with the launch of season 7, the planned news is apparently bigger than that. Exactly what that means is as yet unconfirmed, but we can make some educated guesses. Epic Creative director Donald Mustard will be the one making the announcement at the show, and whatever it is will be a “world premiere.” Geoff Keighley notes that you should “keep your game close,” which means it’s likely this’ll be something that immediately affects the game itself – maybe an in-game event or update. Just in case you’re still thinking this is about the new season, Epic’s senior PR guy Nick Chester tweets that “I can’t stress enough how much we have going on this week. Geoff isn’t talking about season 7 launch here.” December 6 is the Fortnite season 7 release date, but clearly there’s much more in store later that day. The most obvious possibility is Fortnite’s actual launch. There’s still an ‘early access’ banner on the game’s initial load, and despite Fortnite’s ridiculous player numbers it’s still not technically out. The proper release, however, is supposed to coincide with Save the World going free-to-play, but Epic said in October that this won’t happen until 2019. But a set of “features, reworks, and backend system scaling” are on the way, and could come to the early access version well ahead of launch. 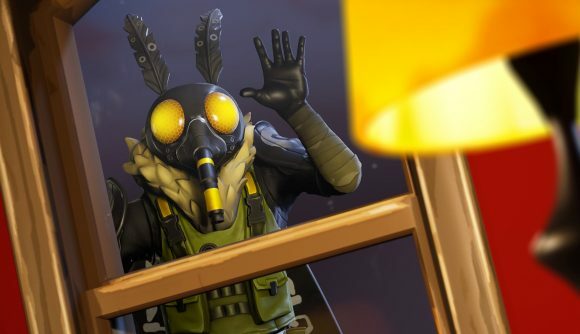 Fortnite battle royale’s first LTM – 50v50 – made its debut at last year’s Game Awards, and we could see something similar this time around. Yet another LTM, fun as those modes can be, would be a pretty underwhelming announcement, but we might be able to look at a new sort of rotating gameplay feature similar in scope to LTMs. Aside from existing games like Fortnite, The Game Awards announcements will see the debut of “more than ten” new games. Some of them we know, like Obsidian’s new RPG, and some we’re pretty sure of, like Alien: Blackout. Add in some wild, unsubstantiated rumours about more big announcements and we’ve got the makings of a pretty notable show this Thursday. Oh, yeah, and there’ll be some talk of the best games of the year there, too.